One of Calgary’s most well-known realtors for over 36 years, John Mele was licensed in 1979. 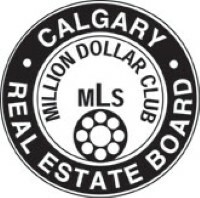 In 1980, he was awarded Rookie of the Year for Calgary, named to the MLS Million Dollar Club and among the top 40 realtors in Calgary. He has since been named to the MLS Million Dollar Club 29 times: 1 of only 4, out of 5000+ active realtors in the city to do so. 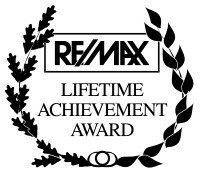 He has achieved all of the highest award levels in the RE/MAX system, which includes: Lifetime Achievement Award, Diamond Club, Chairman's Club and Circle of Legends. John Mele is renowned as one of the most productive and successful realtors in Calgary. Most importantly, John’s clients and peers recognize him as one of the most professional and ethical realtors around. "A strong belief in hard work, integrity and full professional services has helped me build a large and loyal family of clients. My greatest sense of accomplishment is that the large majority of my clients are repeat and referral clients." John’s business philosophy: We’re not experts in specific areas of the city; we’re experts in real estate. His specialties: residential, inner-city homes & development, new construction, rural & urban development, revenue & light commercial. As an avid golfer, with a math and sociology degree, who also backpacked around Central and South America for a few years after university, John believes: "Real estate is like the rest of life, the broader your experience, the richer your offering to the people you serve." Call or Email John Mele today for the personalized service you need.